Beautifully soft Supreme Jumper weight yarn. 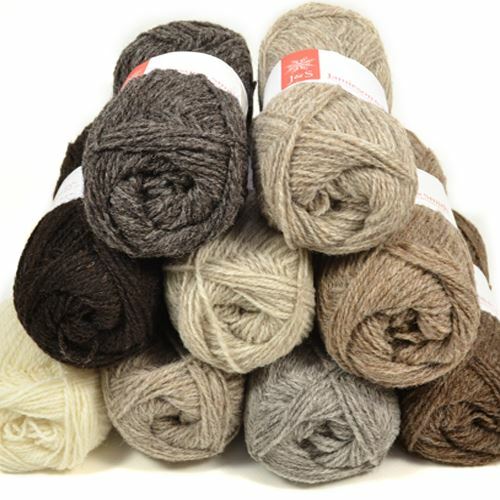 Nine totally natural undyed shades of pure Shetland wool. Each shade is are either as they are on the sheep or carefully blended from the natural wool. It's no wonder that in recent years, Kate Davies has used it for her designs. It's beautifully soft and perfect for natural colourwork and cables. Each ball is a 50g with 172m (188 yds) of yarn.